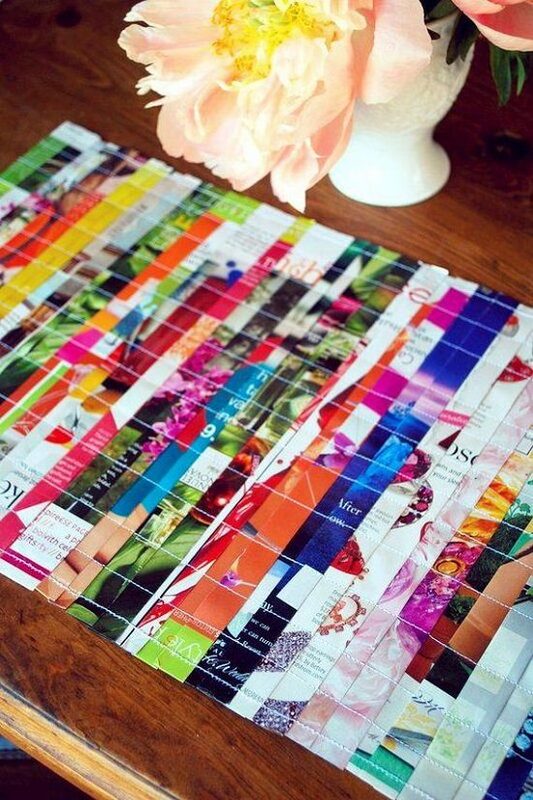 Instead of discarding, know now the 35 Cool Things To Do with Old Magazines. 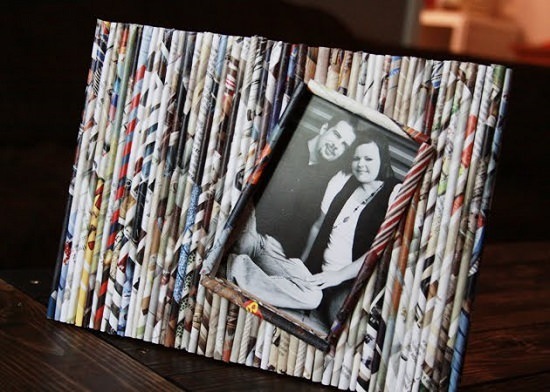 These DIY old magazine crafts are amazing yet easy! 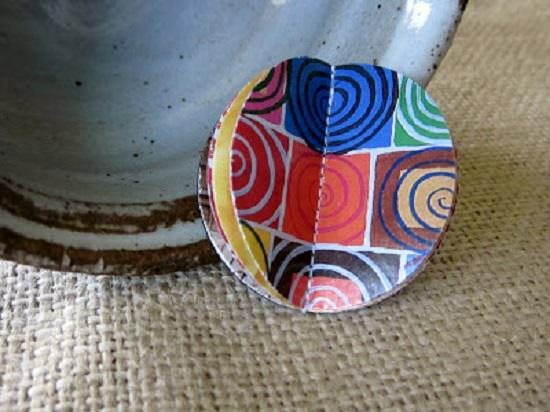 Fun to make and customize, this cute paper brooch is a praise magnet in disguise. Check out this post to know the process. Here’s the newest spin to the festive Christmas tree. Learn more about this project here. If fancy bone china is too costly, consider taking help from this DIY to transform ordinary bowls into classy crockery. Here is all you need to know. 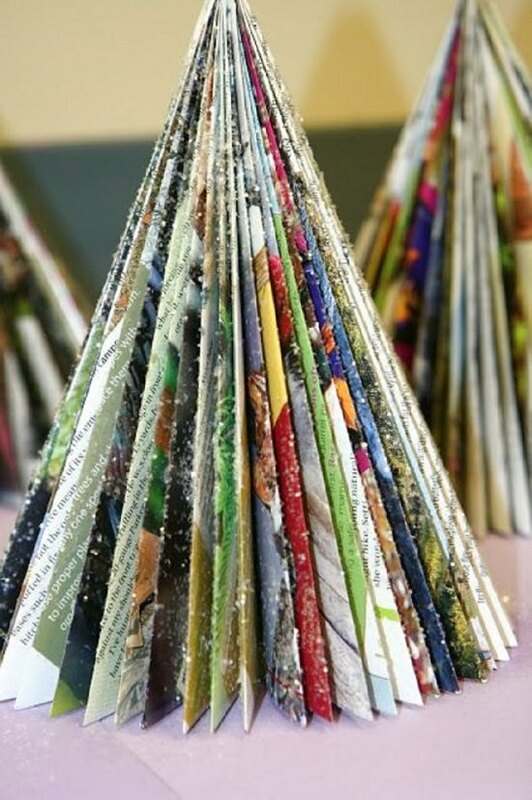 Magazine pages are the go-to accessory for embellishing routine stuff. Totallygreencrafts are behind this idea. 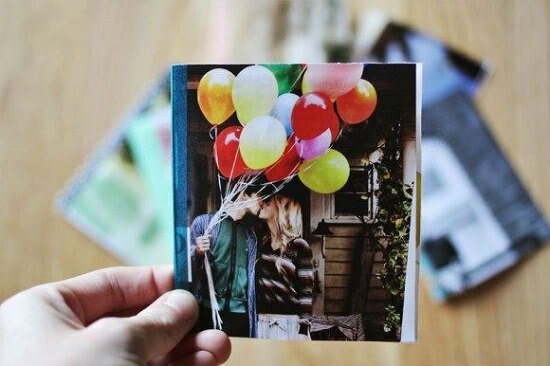 This unique frame consisting of paper reeds are perfect for bringing out the natural accents of the photograph. The tutorial is here! 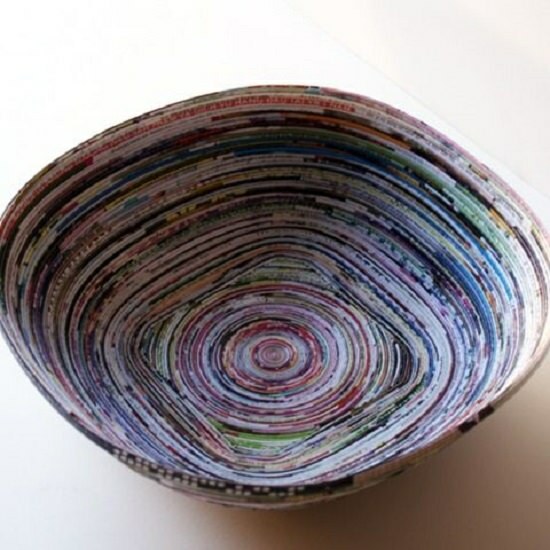 Add a dash of color to a monotone tabletop bowl with rolls of old magazine pages. The step by step project is here to follow. 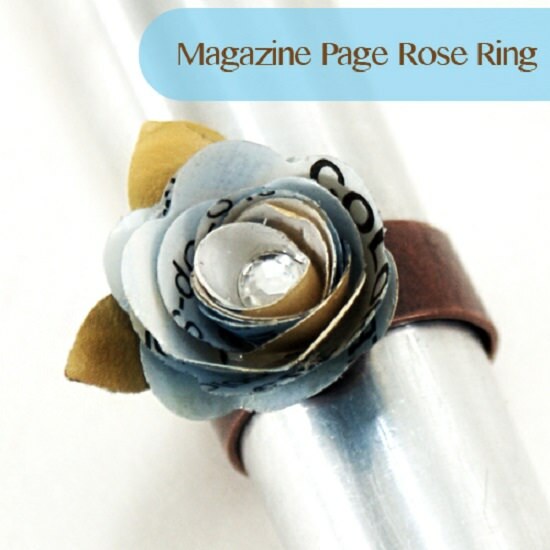 The thing that we like about this Magazine Page Rose Ring DIY is that you can go as overboard with the size of the ring as you want. 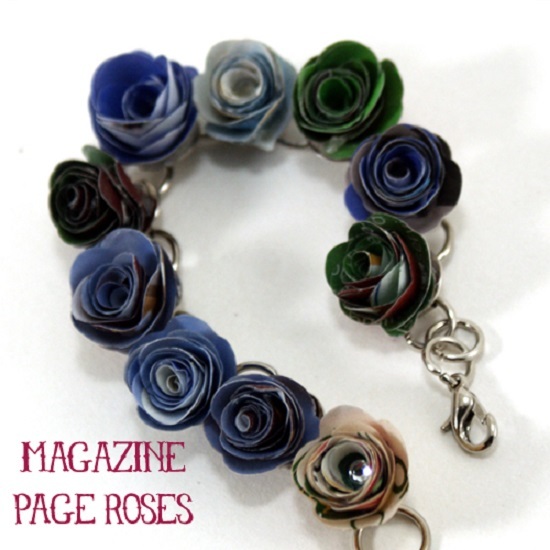 Only a stone-hearted could refuse to get overwhelmed by this magazine page rose bracelet. The informative tutorial is here! 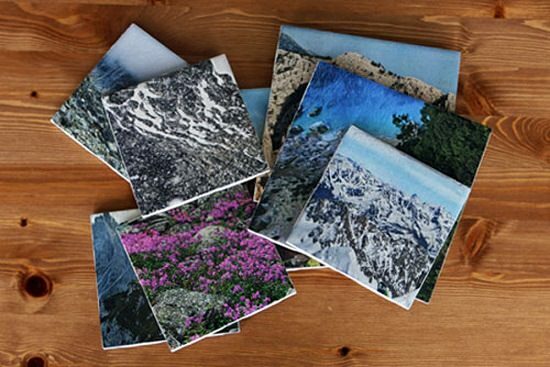 Customized ceramic tiles with scenic magazine cutouts are perfect handmade gifts for a housewarming party. We found the idea at brit.co. 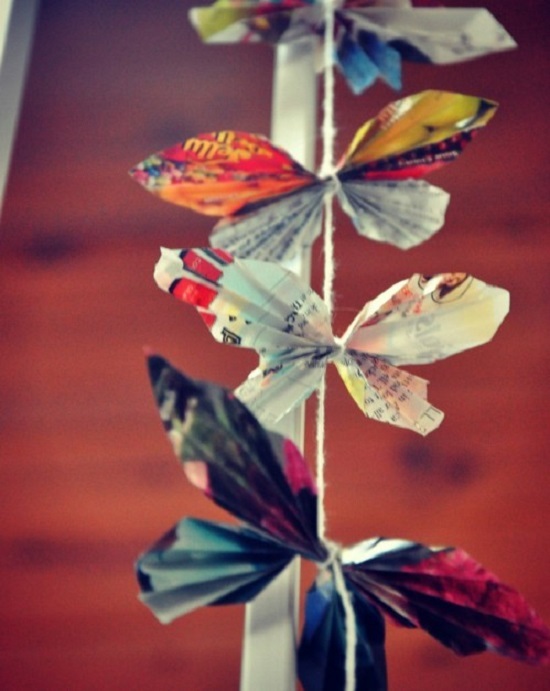 This string of magazine butterflies can bring a PAPERY touch of nature to your living room. Here’s more on it. 11. 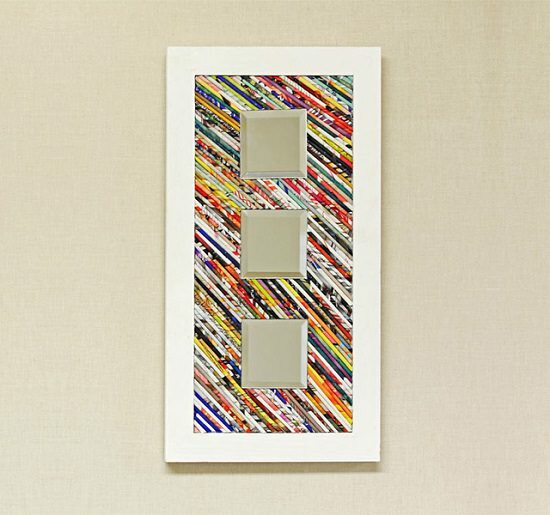 Recycled Magazine Sunburst Mirror! 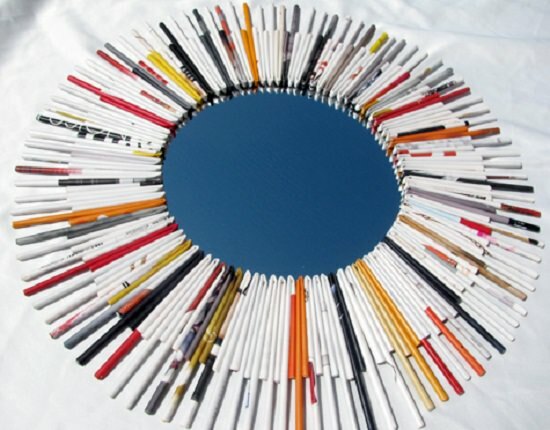 Cheer up alone mirror with magazine paper rolls to change the way you feel when you look at yourself. We found the idea here! 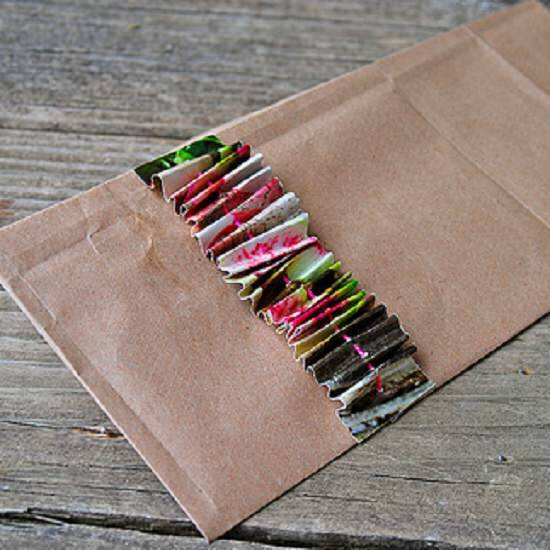 These delicate magazine packets are perfect holders for your candies. Babyccinokids has more information about it! 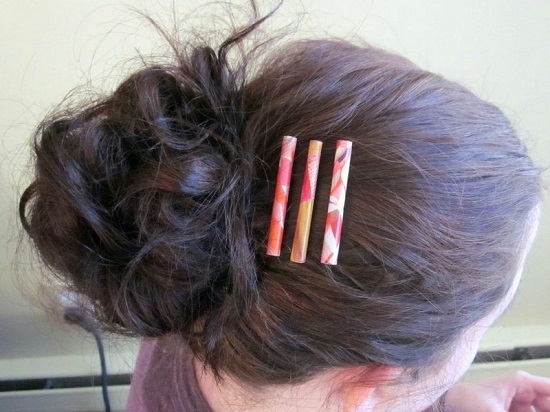 Restrain unruly locks of hair with this easy-to-customize set of magazine pins by following this article at Instructables. 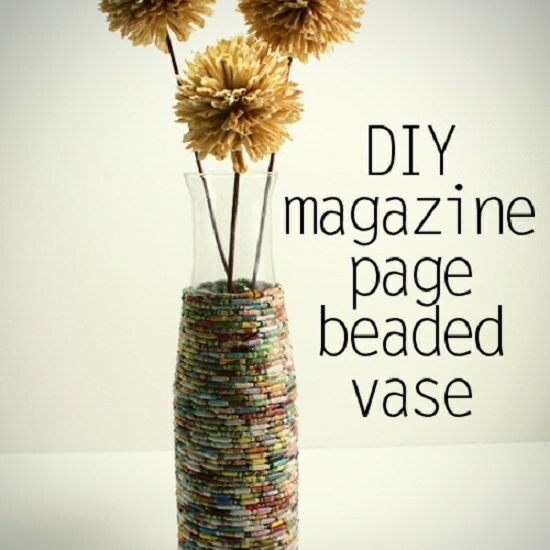 The color and texture of this trendy magazine vase are sure to liven up your room. Here is the detailed post! 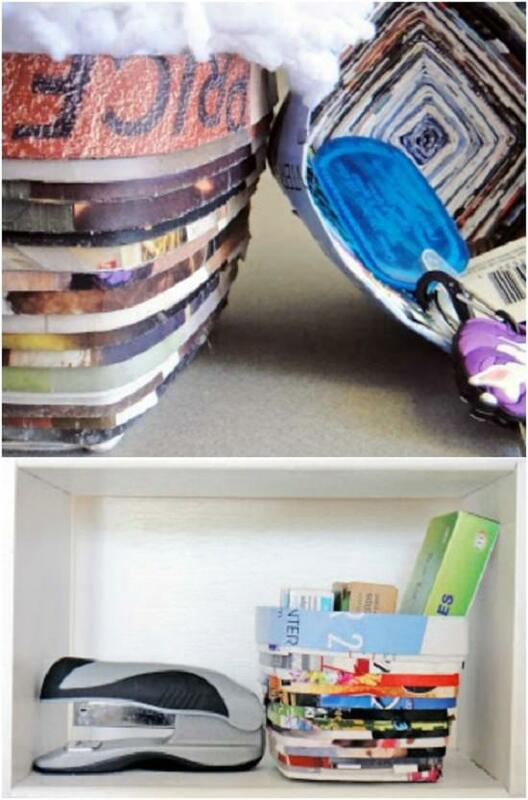 Use magazines to hold cards. How cool is that! Here’s the tutorial! This DIY shows you how to whip up a batch of colorful mug coasters for no cost at all. 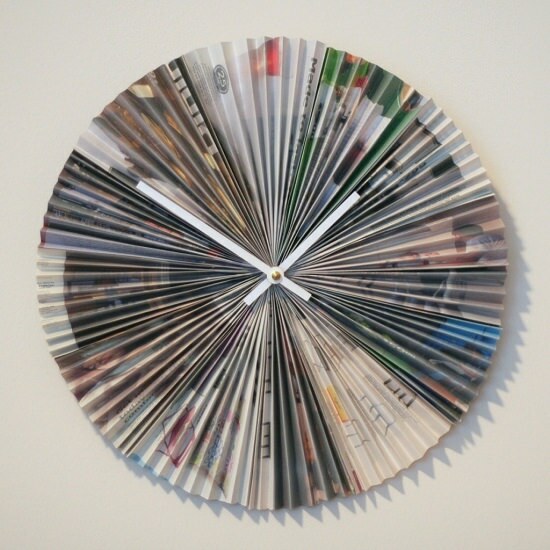 Hang this magazine clock in a place where it can get maximum attention. This website has more details on it. 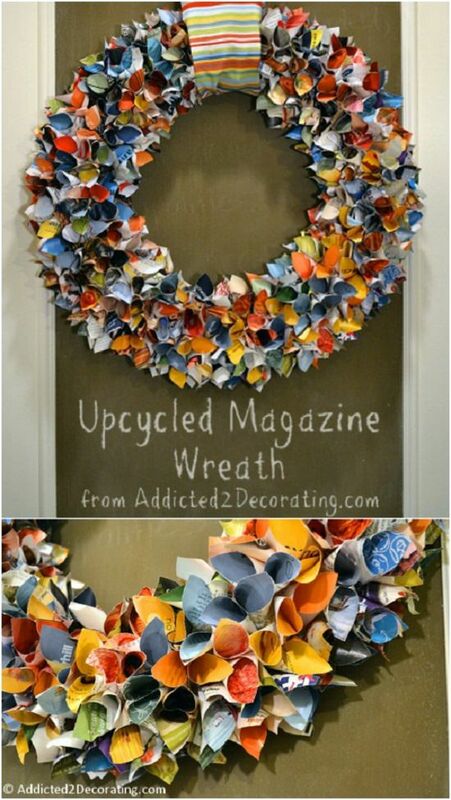 Incorporating the cheery colors of the seasons, this magazine wreath is a welcoming sign for visitors. The detailed post is available here! 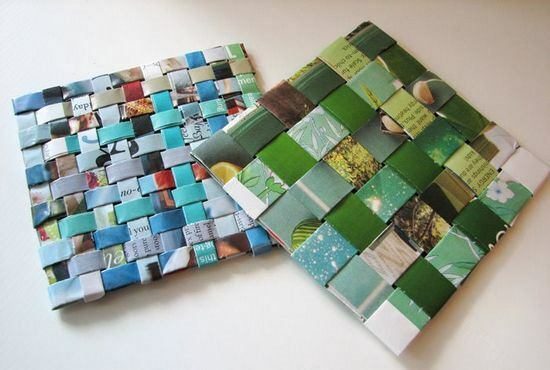 Here’s a nice idea to put those pretty pages of magazines to use. Learn how to make it here! 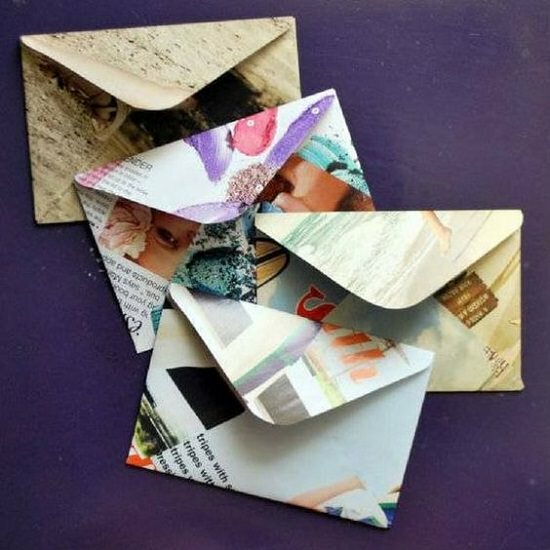 How cool are these DIY Old Magazine Crafts–No two magazine envelopes are the same, meaning you have something unique for each of your best friends? Read this article to make it! 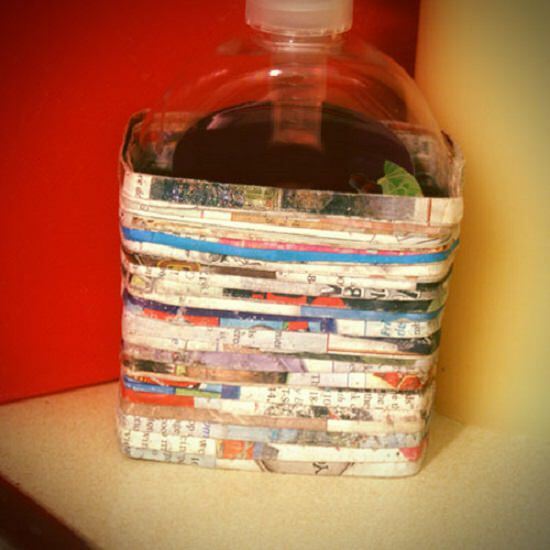 This easy, colorful and purposeful item is a nice way to recycle your magazines. You can see the tutorial here! 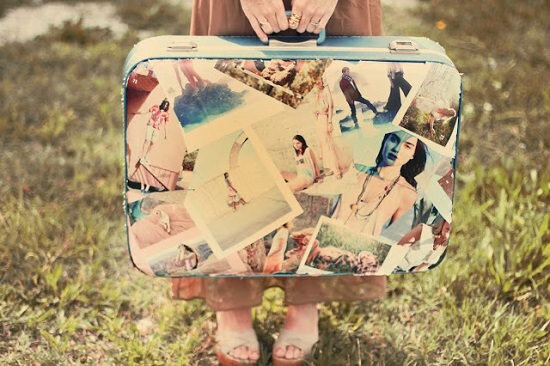 Sticking colorful magazine pages onto the suitcase cover is a clever way to mask its dullness. We found the idea here. 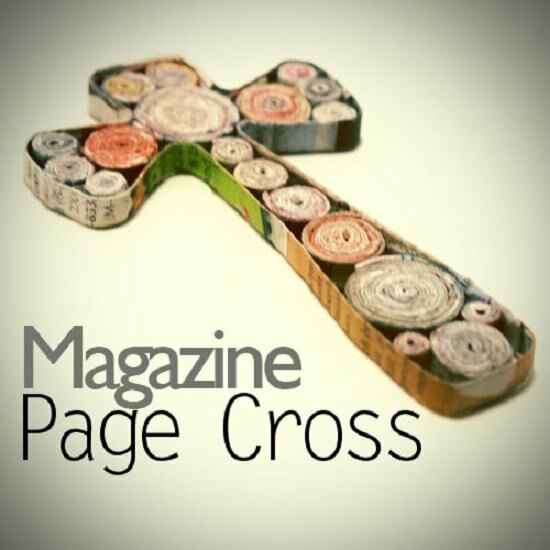 Here’s a trendy 2-D page cross for nerds who like to keep it stylish, view the DIY here! This dazzling arrangement of magazine rolls has the power to make your dull wall look interesting. The rosyscription has the tutorial! 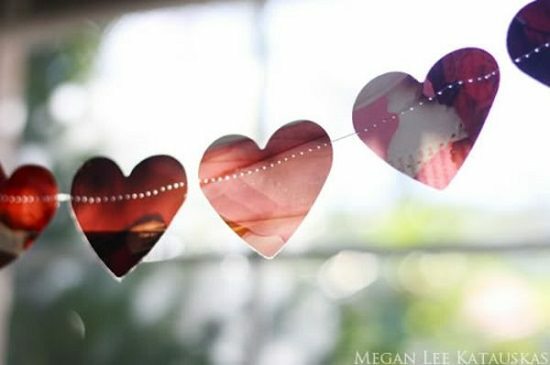 In our list of cool things to do with old magazines, this one is loveliest–made by combining multiple shades of red in one array, this pretty display is a nice add-on to a Valentine-themed party. Here are the steps! 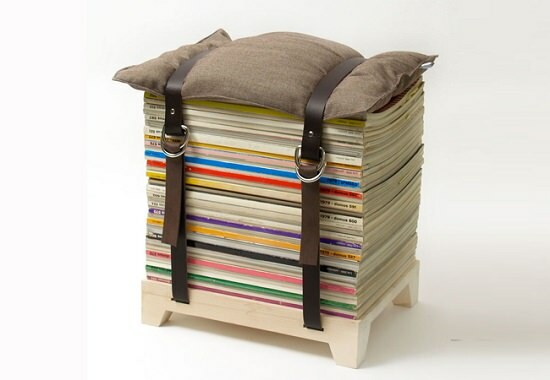 This cool DIY combines a stack of magazines and a stool to fashion a high-rise seat for something to put your legs on. The Inhabitat has an article on it! This magazine-lined basket sure adds a pop of color to a boring shelf. Learn more here! 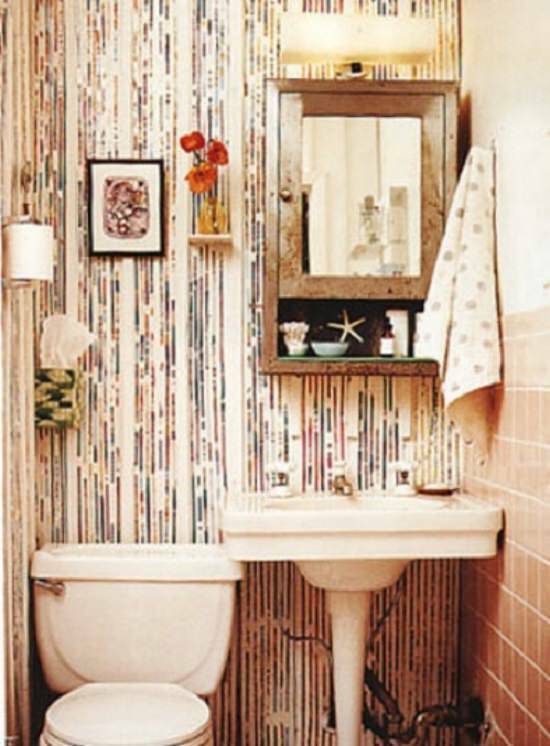 Why spend on fancy, costly wallpaper when you can have this awe-inspiring printed wallpaper recycled from the magazine! Visit curbly for the detailed article. 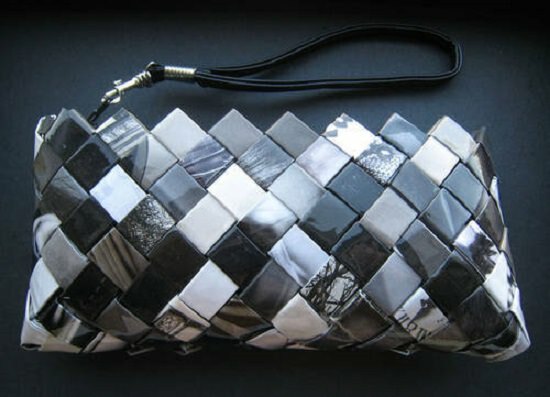 The understated charm of this magazine wristlet goes well with formal outfits. 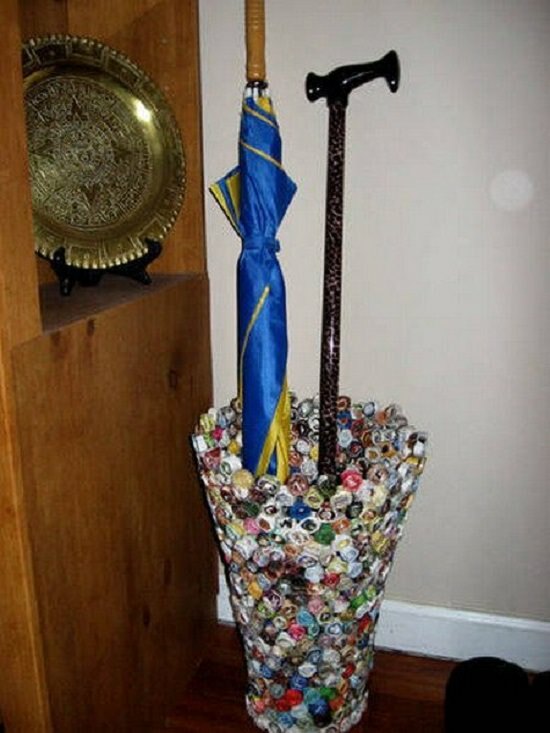 Craftster came up with this fashionable idea! 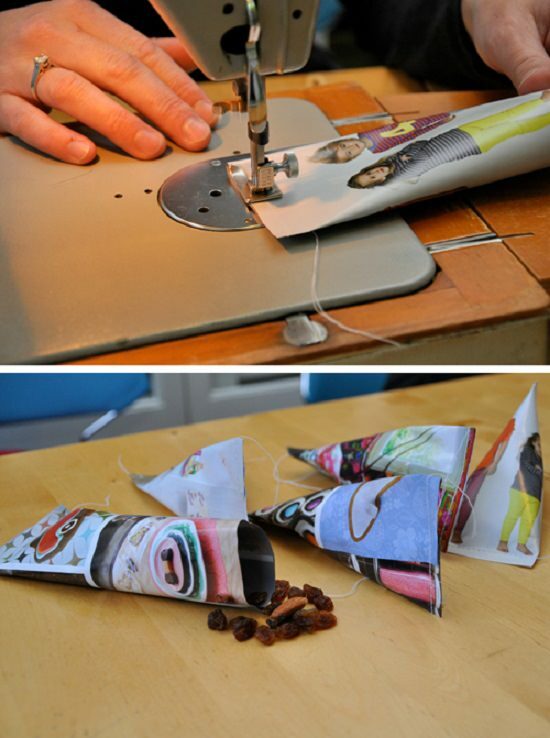 Magazine paper rolls shaped into roses are perfect for adorning a routine umbrella holder. See the steps here! 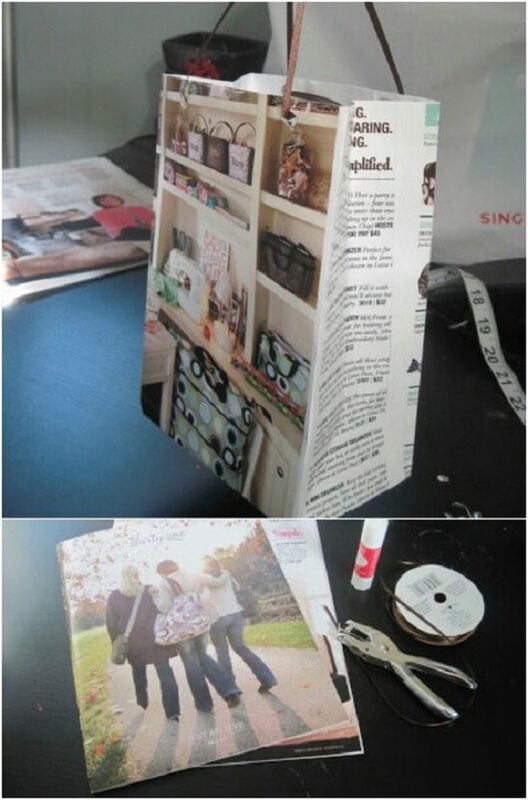 Visit a beautiful mess to transform your favorite picture from a magazine into a cute little pocket notebook. 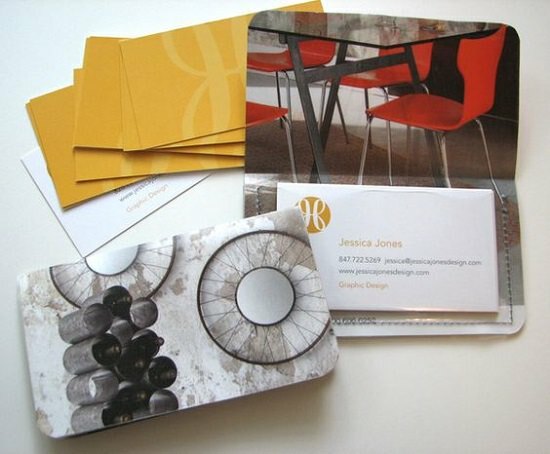 Showcase your love for printed stuff with this colorful placemat. Click here for the DIY! 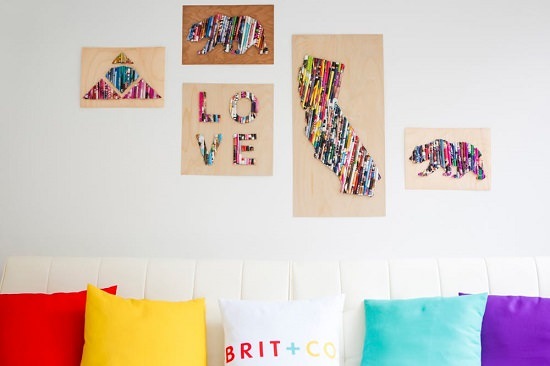 Strategically cutout pieces from old magazines can be developed into artsy pieces of wall decor with this simple DIY by brit.co. 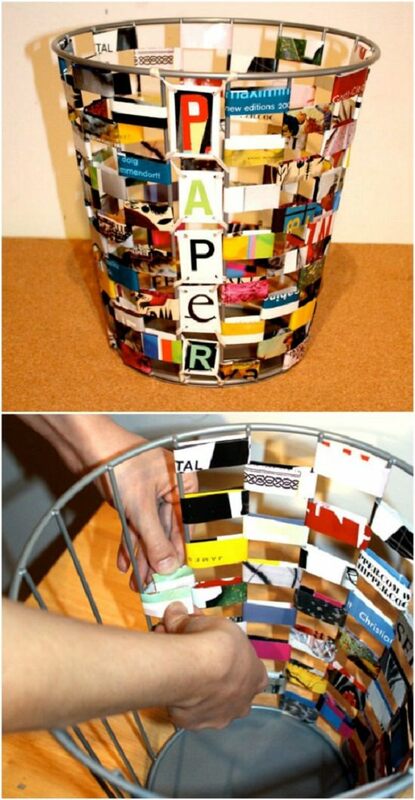 Add interest to a boring trash can with colorful strips cut out from old magazines. The step by step tutorial is here. Take your nail art game to the next level with this chic, magazine-inspired tutorial. 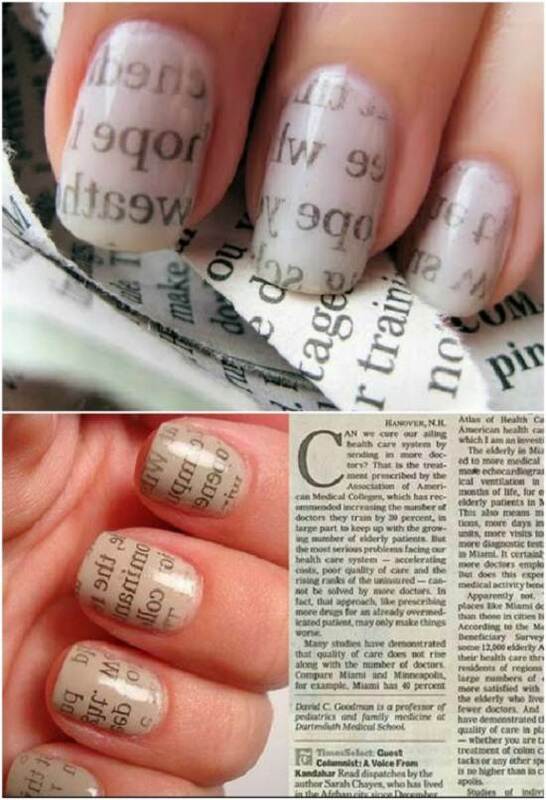 Click here to know more about this Nail art. 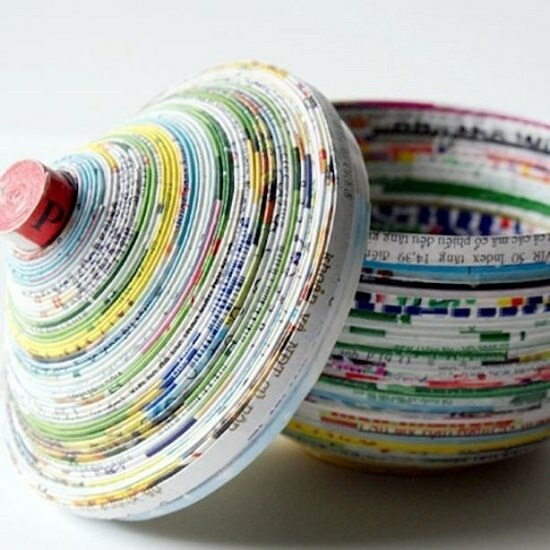 If you are looking to upcycle your old books, check here.